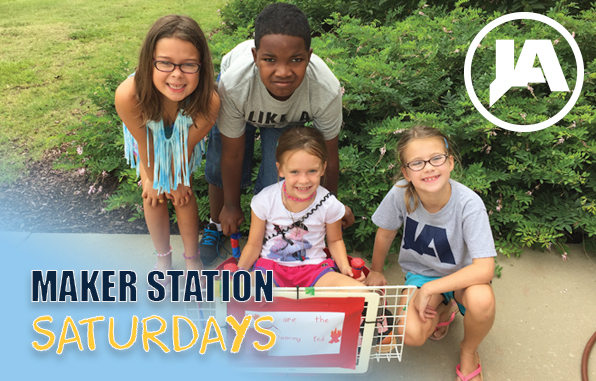 At the next JA Maker Station Saturday, students will create a freestyle go-cart that can navigate a student-created obstacle course! Once their go-cart is complete, students will compete in a final race. They will also design a rubber band flyer, dabbling in the dynamics of propulsion. Join your friends Saturday, November 12 from 9:00 a.m. to 2:00 p.m. Location: JA Cafeteria. Cost: $75. Click here to download the Maker Station Saturdays for sign up instructions.